The impact of recent food safety incidents surrounding Chipotle has had a cascade effect throughout the industry. In an age where news is reported instantly, those outside the food industry have a heightened awareness and concern over their favorite brands’ commitment to food safety. Conversely, every food industry’s safety and quality operations teams are more than likely putting measures in place to tighten up their supply chain controls and re-evaluate their own food safety programs to ensure that their companies don’t become the next headline. The sheer volume of records, data and information needed in such an on-demand short timeframe can be extremely overwhelming. Without quick access to the critical records needed to determine root cause or, more importantly, thwart an incident from expanding, food safety and quality operations should be taking a close look at how they are managing their food safety data records and reports. Are binders full of documents, or a combination of paper/silo data records going to suffice when it comes to inquiries, responses (and audits)? Or, is there a better way to manage food safety and quality data to ensure not only data is accessible, but also that food safety programs are working? One sure bet is that there will be a higher number of audits and inquiries. Is your team and/or supplier prepared for the increase of these types of activities? We all know that audits are often lengthy exercises, yet they are still predictable. On the other hand, inquiries can be more difficult in that information requests may involve a very deep dive into a very specific area of inquiry. In all honesty, if inquiries or responses or audits have to be planned for in advance, then you are not prepared. In order to always be prepared, it’s imperative to have better systems in place to manage any type of internal or external examination of your food safety and quality information. Regardless of whether it is an audit, response or inquiry, it is important to have easy access to records, verify that your programs are working, have corrective actions in place, and show visibility (and transparency) in your operation. Thus it all comes back to how you or your suppliers are managing food safety records day in, day out. If FSQA operations are still relying on manual-based food safety and quality management processes versus food safety and quality management technologies, then chances are that you’re reacting to latent results, and you’re not able to identify trends and opportunities for improvement. The burden to manage inquires, responses or audits—as they continue to grow in cadence—will become overwhelming. Without a doubt, the Chipotle effect is being felt throughout the industry. There will be increased accountability to ensure an adequate food safety program is in place and verification that the program is working. It will become even more imperative—and expected—that data and records are readily available to efficiently respond to inquiries, responses and audits. What is True Food Safety Audit Readiness… and How Can Automation Help? What Matters When Considering a Food Safety Audit? 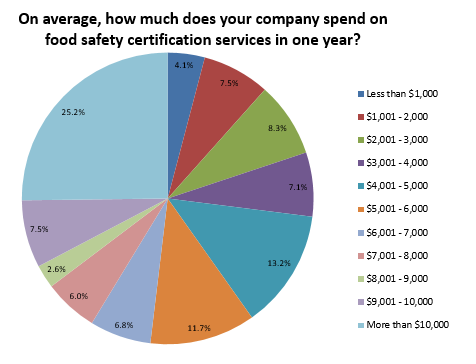 When considering a food safety audit, what attributes do companies consider most important? 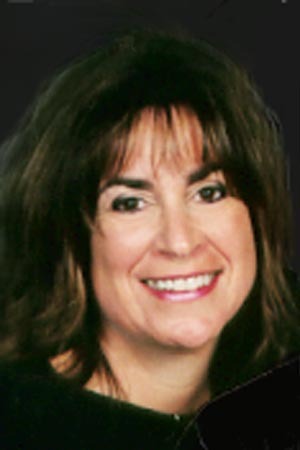 Auditor competence or time taken? Cost or customer service? An industry survey offers some insights. What’s a Successful Food Safety Audit? Which GFSI Standard is Right for Me, and How Do I Prepare For The Audit? So your company has decided to pursue certification against a GFSI benchmarked standard. How do you go about choosing the right standard for you, and how can you prepare for your first audit? This article offers some advice. Dan Bernkopf has more than 30 years’ experience in the food industry with leading food producers and manufacturers. His areas of expertise include SQF certification, HACCP certification, 3rd party audit preparedness and lean manufacturing principles.